SUNNYVALE, Calif.--(BUSINESS WIRE)--Square Panda today announced a new in-depth learning world called SquareLand for 2018 back-to-school. SquareLand will offer a new and unique world of play designed to keep emerging readers engaged in learning through personalized mini-games. In addition, the company announced an enhanced version of its Teacher Portal for teachers and administrators, also releasing this fall. 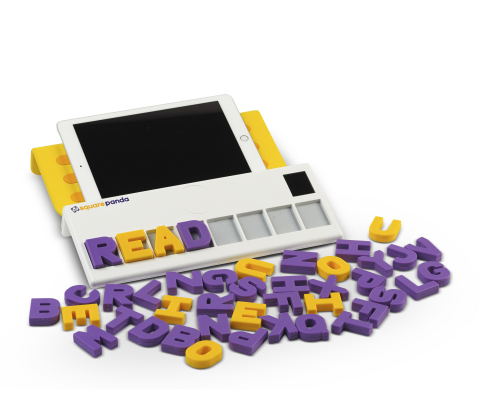 Square Panda transforms classroom tablets into multisensory phonics learning systems using tactile, visual, and auditory components. 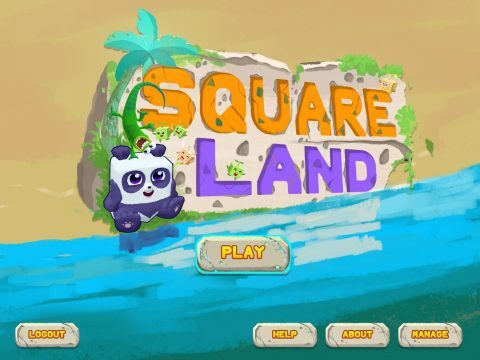 In the engaging new world of SquareLand, students play as Square Panda himself in a variety of mini-games as they explore an adaptive early reading curriculum. Interactive songs and mini-games adapt to each learner’s evolving skill level, as students learn about letter recognition, phonemic sounds, phonics, vocabulary, spelling, and much more through self-directed gameplay. The Square Panda engine assesses each student’s understanding to determine his or her learning level, and the more students play, the greater the level of personalization. The games advance students according to their skill levels, and performance is tracked to ensure the content is adjusted appropriately. SquareLand is an ever-growing platform with a continuous stream of mini-games launching throughout 2018-2019 and beyond. 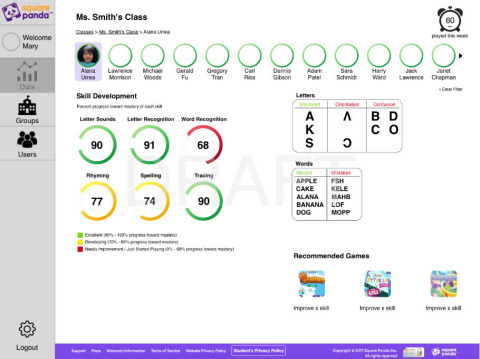 The new mini-games will collect real-time data on student performance, with extensive reports for both teachers and administrators available via the enhanced Teacher Portal. Educators will see student progress measured against a multi-variable grid of phonics and comprehension skills, to guide interventions and provide insight at the district, campus, classroom, and individual student level. Easy management of districts, campuses, and classrooms, as well as licensing and role-based permissions, will also be included. The enhanced Teacher Portal is available as part of the new Square Panda Classroom Subscription, which also includes access up to 30 student profiles and three separate log-ins for educators, unlimited access to the Square Panda learning game library, and support resources such as lesson plans. The enhanced Square Panda Classroom Edition, also releasing for 2018 back-to-school, will come with a built-in and reprogrammable QR code so that students can quickly pair their tablets with the playsets to make implementation faster and easier for teachers. In addition, the playset will be sleeker and more compact with a rechargeable battery, Near Field Communication (NFC) reader capability, and a separate storage bag for the 46 tactile Smart Letters. Square Panda Classroom Edition is the award-winning, research-based, multisensory phonics learning system that incorporates components of cognitive neuroscience with educational technology. Designed for learners in early literacy environments, the learning system engages students in visual, auditory, kinesthetic, and tactile (VAKT) learning through physical Smart Letters that interact with a library of learning games. Every learning session guides students as they explore the alphabet, phonemic awareness, phonics, discover rhymes, build vocabulary toward their fluency and comprehension creating highly-engaging early literacy instructional experiences. For more information, visit www.squarepanda.com.